In what will come across as a really shocking development, a newborn baby has been found inside a bush wrapped inside a bin bag. 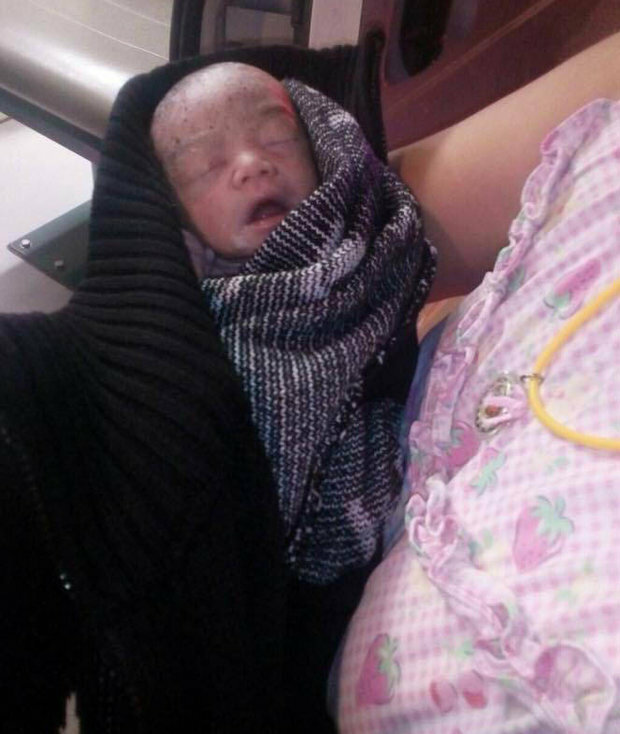 Photos have shown a newborn baby who has been rescued after he was dumped in a bin bag outside a hotel – with his umbilical cord still attached. According to Daily Star UK, a driver found the tot after hearing cries from what looked like a tiny package left on the side of the road. 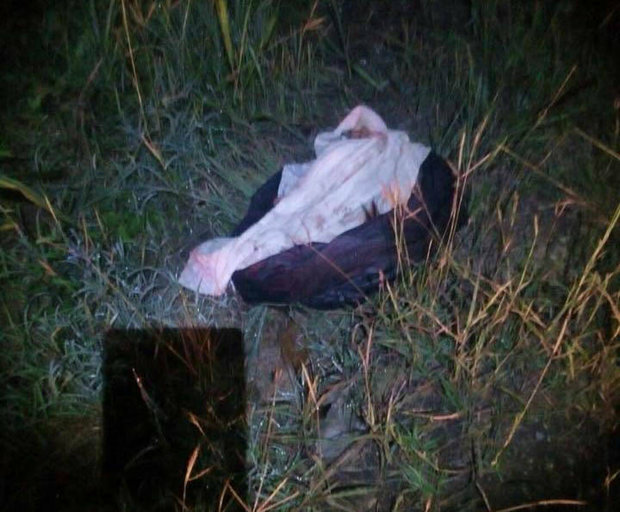 Authorities discovered the shivering baby covered in blood after arriving at the scene at 1.40am on Sunday. The baby boy is believed to have been only a few hours old before he was left in the Phra Phutthabat district of Saburi, Thailand. The 5.9lb tot was rushed to hospital where he was given a warm bed to sleep in for his first night. Cops from the local station have since appealed for information in tracing the mum of the baby boy. 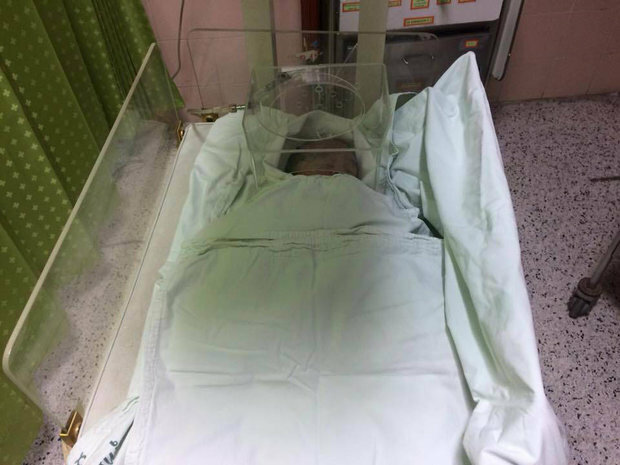 The Police Lieutenant Colonel from Phra Phutthabat said: “The baby was found wrapped in towels and inside a black bag near the entrance to a hotel. “We believe the baby had only been born for a few hours because his body was stained with blood. Police believe the baby had been born to a young mum who was not in a serious relationship. The Police Lt Colonel added: “The mum may also be from a family that had problems and could not look after the baby. He was thrown away almost immediately after birth before having chance to form any bonds with his mother. “Police will urgently check CCTV in the area and bring legal proceeding against anyone involved in leaving the baby.